Why Train to Become a Feldenkrais® Practitioner? From September 2017 to August 2018, we held a series of free online discussions with Educational Director Jeff Haller and staff about the new Feldenkrais Training Academy. We’ve discussed what it’s like to be a Feldenkrais Practitioner, applications of the Feldenkrais Method, training curriculum, case studies, and other related topics. These free informal online conversations have been a great way to get to know FTA staff and potential co-trainees! If you missed any of these online talks, or want to re-experience them, you can watch them here. 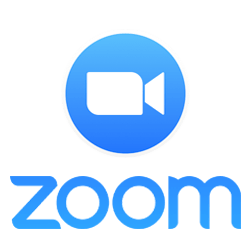 Zoom is a user-friendly online meeting service; you may participate for free from your computer, tablet, or phone. Inside Moves, LLC provides services, products, and trainings focused on the Feldenkrais Method. Pay for our services, trainings, and products. If you apply to one of our trainings, we may also collect and store information required to determine whether to accept your application. This may include information that can be used to identify you as well as your headshot, date of birth, videos, letters of recommendations, résumés, and your answers to specific questions on the application. Additionally, if you apply for financial aid in connection with these services, you may be required to provide information regarding your income. If you participate in a course or training, then we may also collect and store student-generated content. This may include information that can be used to identify you as well as homework assignments, content you submit to forums, and/or submissions to your portfolio. The student-generated content may be in the form of written work, pictures, audio recordings, photographs, and/or videos. We may also collect course data, such as attendance records and student responses to quizzes, exams, and surveys. If you participate in a course, online talk, or training, then we may record your image, voice, and any content you submit in the chat field. If you leave comments on the site, we collect the data shown in the comments form, and also your IP address and browser user agent string to help spam detection. If you upload images to the website, you should avoid uploading images with embedded location data (EXIF GPS) included (since visitors to the website are able to download and extract location data from images on the website). We collect information about your activity on our online interfaces, such as your IP address, the type of device or browser you use, and your actions on the Site. We may track the way that you interact with our emails (such as when you open an email or click on a link inside an email). To track and analyze use of the Services so that we can improve how the Site is performing and provide users with the best experience possible. Any information you supply when commenting on publicly visible blog posts, possibly including personal identifiable information as well as your Profile Picture (Gravatar). Information covered by our Photo, Video, and Audio Release. By participating in any recorded event, you consent to the terms of our Photo, Video, and Audio Release (below). As a participant in online talks, online courses, and training, information will be shared with other participating students including (but not limited to) your name, email, image, and student-generated content. We may share your student-generated content, without your personal identifying information, with students that are participating in other of our trainings. Feldenkrais Guild of North America: We may share your information with the Feldenkrais Guild of North America as required by us to maintain certification and support their evaluation of our training. Workforce Training and Education Coordinating Board: We may share your information with the WTECB as required by us to maintain certification as a vocational school in Washington State. Inside Moves Contractors: We use various service providers, vendors and contractors (collectively, “Contractors”) to assist us in providing our products and services to you. We may share your personal information with these contractors if it is necessary for them to do their job. Acquirers: We may disclose and/or transfer your personal Information to an acquirer, assignee or other successor entity in connection with a sale, merger, or reorganization of all or substantially all of the equity, business or assets of Inside Moves, LLC to which your personal information relates. We reserve the right to disclose personal information when we believe that doing so is reasonably necessary to comply with the law or law enforcement, to prevent fraud or abuse, or to protect Inside Moves’ legal rights, property, or the safety of Inside Moves, its employees, users, or others. By participating in online events, talks, courses, you consent to the use by Inside Moves, LLC of your image, voice, or both, in any video, photograph, or audio recording taken during its programs, regardless of whether these materials are used for advertising, publicity, or any other purpose on behalf of Inside Moves, LLC. These images may be used for a variety of purposes related to the Feldenkrais Method® and Jeff Haller’s work, and may appear on the Inside Moves, LLC, IOPS Academy, and/or Feldenkrais Training Academy websites, Facebook page, video recordings, presentations, promotional materials or any other media now known or to be invented. You agree that the images may be combined with other images, text and graphics, and cropped, altered or modified. You agree that all such photographs, video, and audio recordings and any reproductions thereof, and all digital files, shall remain the property of Inside Moves, LLC unless otherwise noted. You understand that Inside Moves, LLC is not responsible for unauthorized duplications or use of the images, videos, or audio recordings by third parties, on the Internet or otherwise. You waive all claims to compensation or damages based on the use of my image or voice, or both, by Inside Moves, LLC. I also waive any right to inspect or approve the finished photograph, video, or audio recording. You understand that this consent is perpetual, that you may not revoke it.